According to the Internet of Things (IoT) and Wireless Networks: Technologies, Business Drivers, and Market Outlook report by Mind Commerce, the Internet of Things (IoT) refers to uniquely identifiable objects (things) and their virtual representations in an Internet-like structure. In other words, objects that can be assigned an IP address and transfer data via a network such as wearables or home appliances. IoT can be a confusing technology, considering it covers such a large area, but it is not something to be ignored, as it is creating a whole new world of possibilities for how people communicate with objects. According to Generator Research Limited, IoT will double the size of the internet over the next 20 years. With all the major power-brokers investing tens of billions of dollars, it’s imperative companies start understanding its impact now in order to benefit from this technology. This category might not seem so new, but smart technology is constantly evolving, from smart homes to smart cities. Just last year Google acquired Nest Labs for $3.2 billion, a maker of smart home sensing control devices. In 2013, the global market for smart machines was valued at $5.3 billion and is expected to increase to nearly $15.3 billion in 2019, according to BCC Research. Wearable technology definitely goes hand-in-hand with the previous category, but deserves recognition of its own. Wearable tech devices will ultimately replace most of today's traditional gadgets that are used on a daily basis. Currently, healthcare seems to be dominating the wearable technology market with fitness and wellness devices. Over the next ten years the market is expected to reach around $70 billion, an increase from $20 billion. Oculus VR, the virtual reality goggles maker that Facebook acquired last year for $2 billion, is starting to see more competition as virtual reality continues to rise in population. According to TechSci Research’s United States Augmented Reality & Virtual Reality Market Forecast & Opportunities, 2018 report, the market is expected to grow at a CAGR of around 30%, in value terms, during 2013-18. For now, virtual reality is being used in areas like the military for training and simulation. However, advances are being made into commercial businesses as well, but there still may be some time before it makes a mainstream appearance. This technology is proving to be very useful (not necessarily making us lazy). Incorporating eye-tracking technologies in certain areas, such as gaming, can be quite helpful. Gamers can track targets and achieve specific objectives much quicker with this technology. Eye-tracking can cut out a certain amount of time with any technology it is integrated into, such as controlling a mouse or touch screen. Our eye movements can often translate much quicker. Disabled persons in particular have found eye-tracking devices helpful as communication systems, with the ability to send e-mails or browse the web by simply using their eyes. TechNavio’s analysts forecast the Global Touchless Sensing Equipment market to grow at a CAGR of 32.2% over the period 2012-2016. Although it is still a very expensive technology, in time, when more competition arises, it will inevitably become more affordable. The electronic trends are often endless and don’t just end at the ones mentioned above. What are some of the top electronics and technology trends you are looking forward to this year? 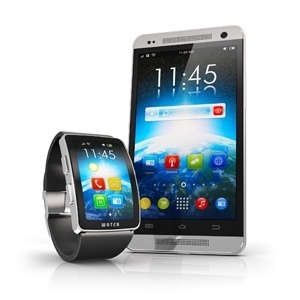 For more information on the consumer electronics industry, check out some of our industry reports.